Take on the Sun Prairie roads behind the wheel of a new Honda vehicle. Thanks to a variety of advanced technology features such as Bluetooth HandsFreeLink, our inventory of new Honda vehicles provides a comfortable, reliable, and enjoyable driving experience. Some of our vehicles include the Honda CR-V, Honda Accord, Honda Fit, and Honda Civic. Once you’ve made the decision to lease or finance, take the trip from Waunakee or Cottage Grove to our Madison dealership to test drive one for yourself! Find out how Honda LaneWatch™ and other features can upgrade your drive. 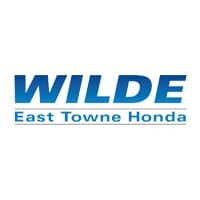 Why Shop at Wilde East Towne Honda? In addition to our wide selection of new Honda models, our dealership can offer you competitive financing quickly so you can get out and driving as soon as possible. We also work with a variety of local groups to make Madison better for everyone. Once you’ve selected your new vehicle, stop by Wilde East Towne Honda, and be sure to contact us with any questions you may have. We hope to see you soon!